We can't afford to be boring. Neither can you. The scale and scope of what TD does may surprise you. The rapid pace of change makes it a business imperative for us to be smart and open-minded in the way we think about technology. 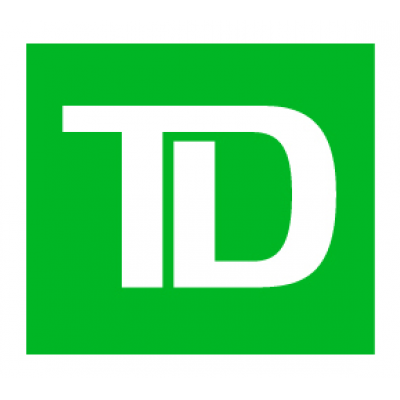 TD's technology and business teams become more intertwined as new opportunities present themselves. This new era in banking does not equal boring. Not at TD, anyway. Specialized Services functions that provision contact center infrastructure and network-related infrastructure work for Real Estate and/or Branch environments, hardware assets etc. There's room for you to grow in all of it. We are looking for someone who is ready, willing and able to research, install, maintain, configure, administer and provision TD's systems and applications. It's also likely you'll be involved in deployment and release management activities. There's a lot of meaningful work here? Give specialized support (like research, installation, configuration, provisioning, systems support) and meets or exceeds established standards/service levels, while minimizing operational risk. Promptly schedule packaging, release new applications. implement with parallel work streams to reduce time spent. Set up, maintain, monitor applications and systems. Promptly communicate, escalate and resolve issues. Deliver application, hardware, software and operations support. Conduct research, build solutions, maintain documentation. Provide quality service and solutions to clients. Design, review, integrate application requirements (functional, security, integration, performance, quality, operations etc.). Identify, address application and data, cross-capability and cross-release issues. Help evolve the base infrastructure and operational environment, deploy new technologies. Build, deploy base infrastructure components (e.g. servers, operating systems, middleware) for all environments. Create "off-the-shelf" and in-house applications and supported assets procurement. Maintain base infrastructure components, work with third-parties to report problems, and receive fixes. Monitor system life cycles, ensure specifications and functionality support our objectives and architecture decisions, redevelop when necessary. Use metrics to monitor environment performance, pinpoint ways to boost performance and resource utilization. Maintain secure computing facilities and technical infrastructure and architecture. Be aware of and follow necessary processes/standards, business technology architecture, risk and production capacity guidelines. Know and follow both disaster and business recovery plan standards, policies and procedures. Introduce ways to enhance revenue, customer experience and reduce costs. Gain knowledge of TD services, applications, infrastructure, analytical tools and techniques, industry trends. Make effective use of cost management processes. Execute test plans, monitor, report results, resolve issues. Develop business cases, RFI/RFP and service level agreements. Embrace teamwork to resolve critical service issues. Commitment to staying abreast of industry and business trends. Readiness to serve as a technology, trends and processes "go-to" resource. Ability to work with stakeholders to configure, upgrade and administer business applications and systems of moderate to high complexity, under minimal management supervision. Strong ability to perform problem determination, including data gathering and analysis. Great comfort-level acting as a reference for team or clients. Ability to develop scripts to address gaps in the application/system, to simplify and enhance the application and system environment.